"RENK Systems Corporation" replaces "RENK LABECO Test Systems Corporation" as the name for the U.S. subsidiary of RENK Test System GmbH. The updated name reflects the broader scope of business activities intended for RENK's Indiana-based branch. 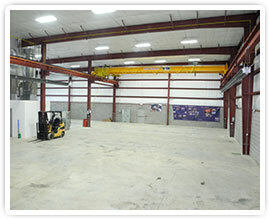 RENK LABECO Test Systems moves into its newly constructed building on a 3.3 acre property in Camby, Indiana. The new facility includes 4,500 square feet of office area and 7,200 square feet of assembly and warehouse area, with ample room for future expansion. RENK AG undertakes an organizational restructuring, with RENK Control and Test Systems emerging as RENK Test System GmbH, an independent entity within the MAN Group. 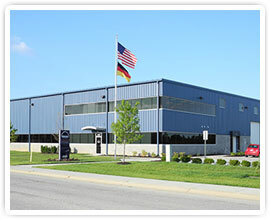 In Mooresville, Indiana, RENK Corporation LABECO Division becomes RENK LABECO Test Systems Corporation. RENK Corporation LABECO Division is formed when the RENK Corporation, a division of RENK AG of Germany, buys the test systems engineering section — designs, expertise, and trademark — of Laboratory Equipment Corporation. The new company brings together two well-regarded names in their respective industries: LABECO in test systems, and RENK in gears, gearboxes, and test systems. The purchase affords RENK an entry into the North American market for its high-quality products. LABECO expands its client base with custom-built, innovative test systems for the automotive, aerospace, and industrial market segments. RENK Control and Test Systems expands its product offerings with its first end-of-line, automotive, roll chassis dynamometer; its first helicopter gearbox test stand; and its first railway wheelset test stand. 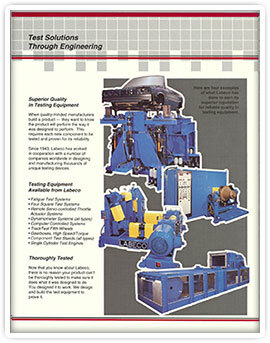 XT1410-4 Test Stand for M-88 Tank Transmission, manufactured for Twin Disc, Inc. The Remote Servo-Controlled Throttle Actuator System for engine test cell and chassis dynamometer applications. Partnered with a sister company, LABECO develops ultrasound equipment for medical treatments. LABECO teams up with Paul Jacottet, France's leading manufacturer of electrohydraulic equipment, to produce electrohydraulic control systems. 1984: RENK AG develops the first version of the RENK Dynamic Data System (RDDS), used to control a cardan-shaft test stand. LABECO develops its patented Velocity Lock System for chassis dynamometer control. LABECO's Chassis Dynamometer Model 100-75P becomes the world's most widely used dynamometer system for mileage accumulation and EPA emissions testing. LABECO introduces its high-speed gearboxes, along with high-speed gearbox test stands for the aviation and aerospace industries. LABECO begins custom manufacture of component test equipment for various industries. The hydraulically driven grape harvester is developed. 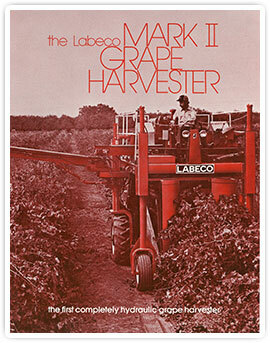 LABECO eventually offers two versions: the Standard Mark II, and the Contour Mark II with up to 25% grade compensation. Fifty-one of the 52 grape harvesters built were sold to California vineyards, and one harvester was exported to the former Czechoslovakia. LABECO's mileage accumulation chassis dynamometer is introduced. 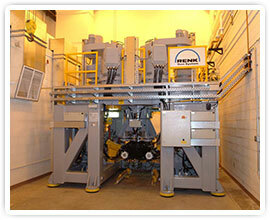 LABECO acquires and begins production of the Fifth Wheel device for vehicle performance testing. 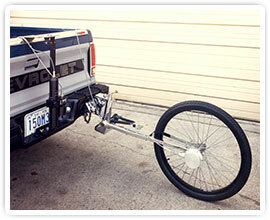 LABECO designs the innovative M-P-G Mobile Proving Ground, a chassis dynamometer on wheels for towing to the test site. RENK AG, a century-old gear manufacturer, builds its first gearbox test stand for testing automatic transmissions used in military tanks. The Coordinated Lubrication Research (CLR) Test Engine for engine oil evaluation testing is introduced. Built in both spark and compression ignition configurations, the CLR Engine has been used worldwide since its arrival in the marketplace. LABECO designs and manufactures its first dynamometer control system. LABECO brings out its chassis dynamometers, among the first such dynamometers for automotive research. 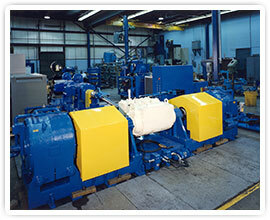 Since their introduction, LABECO chassis dynamometers have been used around the world by automobile and truck manufacturers, petroleum companies, and petroleum additives companies. Laboratory Equipment Corporation (LABECO) is founded by industrial engineer and race driver Lee Oldfield. LABECO's first product is the 17.6 Engine for rating high-octane aviation fuels. 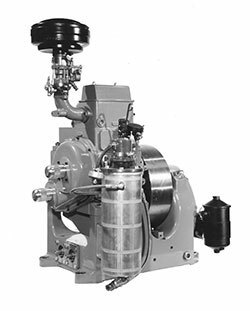 Originally developed by Ethyl Corporation, the 17.6 Engine was used for researching aviation engine parts during World War II. This engine is still in use worldwide as the standard for rating spark plug heat ranges. 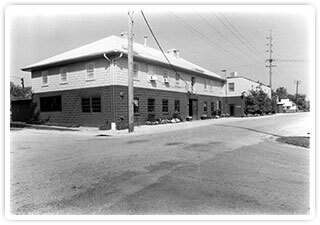 156 East Harrison Street at the northwest corner of Madison and Harrison streets in Mooresville, IN, formerly housed LABECO's administrative offices until acquisition by RENK in 2000.